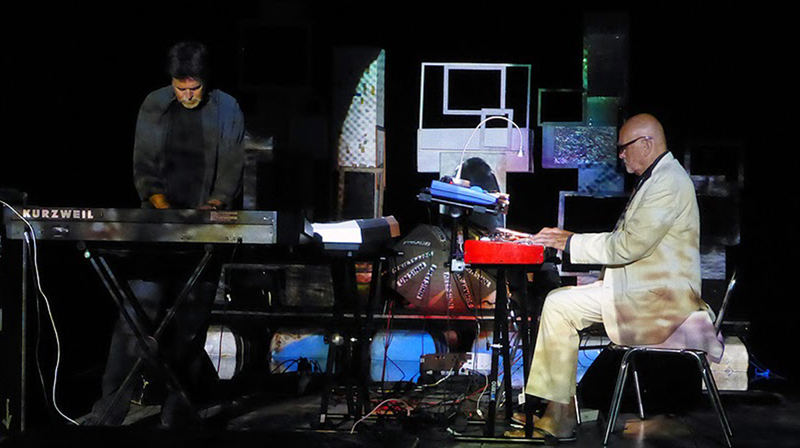 For several decades, composer Hans-Joachim Roedelius (founder of the influential German music groups Harmonia and Cluster) has worked collaboratively with Maumee-base composer, producer, and performing artist Tim Story who is internationally acclaimed for his electronic and acoustic music. In 2017, Story transformed TMA's GlasSalon into an eight-channel, multi-sensory installation called The Roedelius Cells (Story's own radical reworking of recordings he made of Roedelius at the piano). One of Story's "cells" is included in the new TMA exhibition Everything is Rhythm, and on this occasion Roedelius and Story will perform selections from Cells and their collaborative project Lunz as well as some electronic improv and solo piano works. This performance is presented in conjunction with the exhibition Everything is Rhythm: Mid-Century Music and Art. Tickets are $12 for TMA members, $16 for nonmembers, and $8 for students and military.